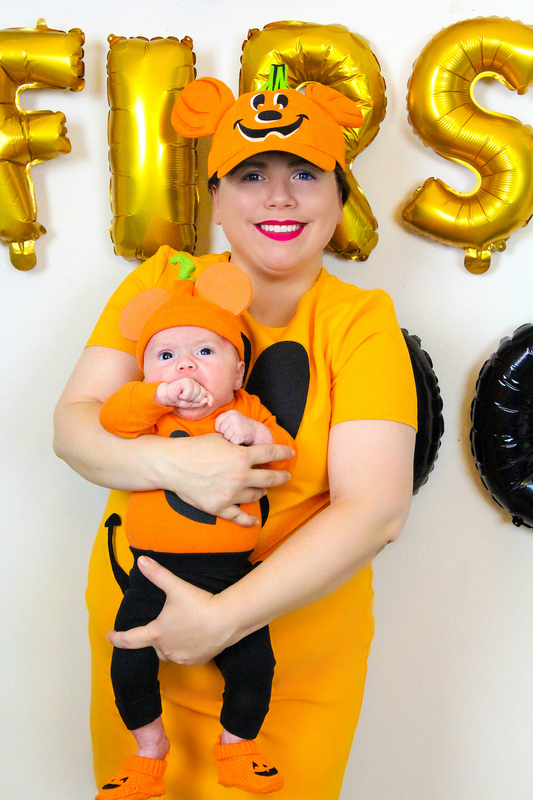 5 Minute DIY Mickey Pumpkin Mommy & Me Costume! Like I said, it’s a Disney Halloween this year! 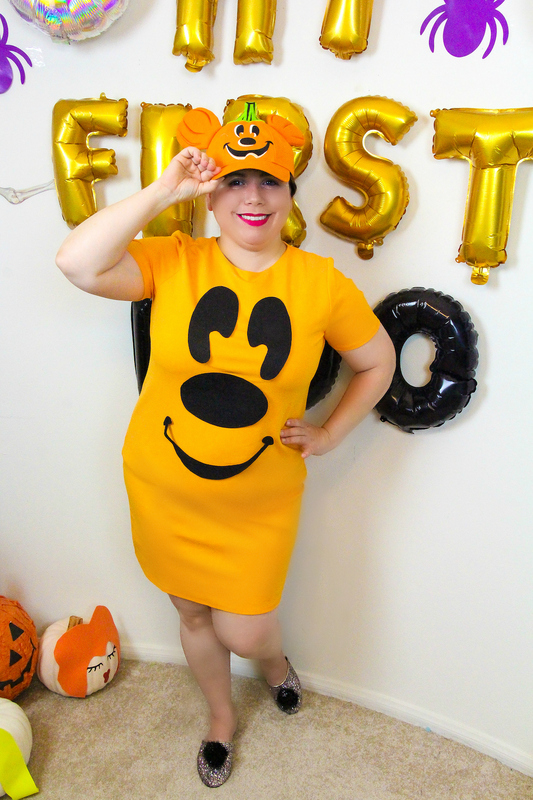 Today we’re sharing our last 5 minute last minute costume idea. 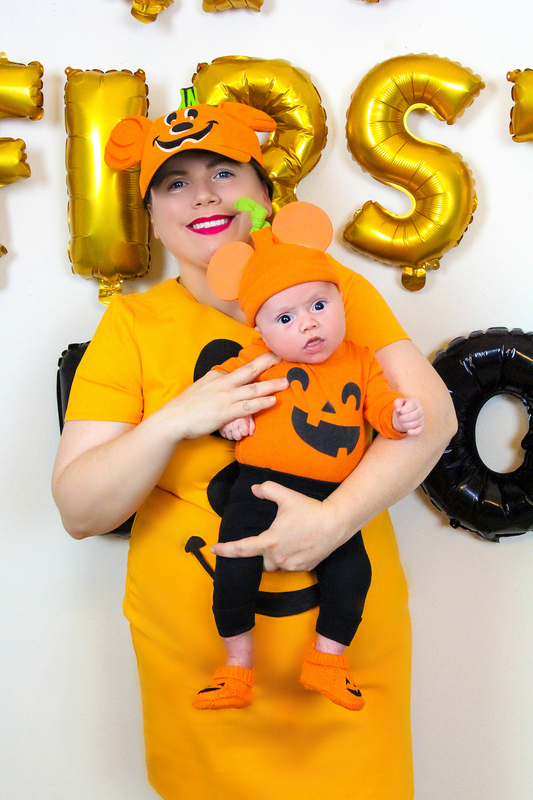 Check out this super cute 5 Minute DIY Mickey Pumpkin Mommy & Me Costume! We’re totally ready to spend Halloween at Disneyland. When in doubt, go pumpkin for Halloween. Mickey pumpkins are even better because they are the cutest thing ever! You can quickly throw these together with clothes you probably already have in your closet. Check out how we put together these fun and easy costumes below. To make the baby Mickey ears you simply cut out 6 circles from orange craft foam and then glue 3 of each circle together to make two ears that are thick and sturdy. You cut the bottoms of the circles off and glue them to the babies hat that comes with the Carter’s pumpkin onesie outfit. 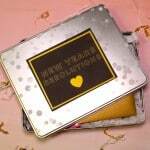 That’s all you have to do! 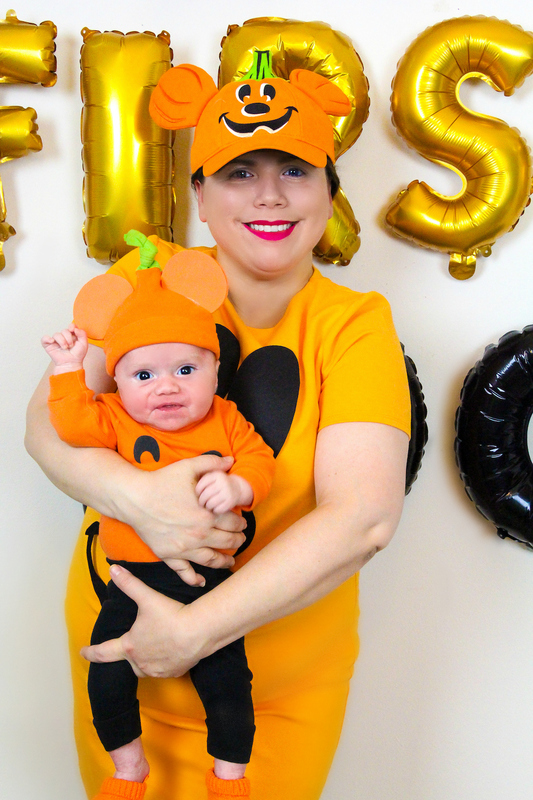 Dress the baby in your pumpkin outfit and you’re done. For the mama outfit you just cut out the Mickey face using the template from the black felt. You stick it onto your orange dress with some stick on velcro and that’s it you’re done. You just have to snag one of those super popular Mickey pumpkin hats at Disneyland and you’re set! You can also just make yourself a leaf and pumpkin stem fascinator to put on your head as well, in case you don’t have or can’t find the hat. 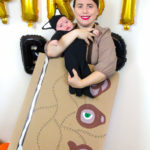 How cute and simple is this costume folks? Love it. I can’t wait to go trick-or-treating tomorrow! Have a Disney fun Halloween folks! 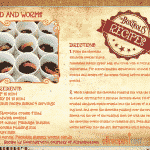 You can find more fun Halloween DIY’s and recipes HERE! DIY Dole Whip Themed Couples Costume!